On Thursday, a panel of experts organized by Japan’s Nuclear Regulation Authority (NRA) determined that it will not change its 2013 judgment that an active geologic fault exists under the Unit 2 reactor at the Tsuruga nuclear power plant. The determination means that the Japan Atomic Power Company (JAPC), the utility which operates the Tsuruga nuclear power plant, will be forced to decommission one of the two reactors at the nuclear site. During the meeting, officials from the JAPC attempted to present new data, which they said challenged the decision made by NRA, but many experts at the meeting debated the validity and objective nature of the data and the ability of the new findings to support claims made by the utility. Following the Fukushima Daiichi nuclear disaster, regulators in Japan began investigating nuclear power facilities in Japan for evidence of active fault lines as a part of the national nuclear safety overhaul program. 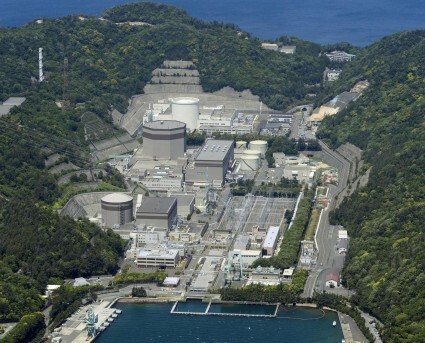 After NRA experts determined that the D-1 fault zone of pebbles and sediments under the Unit 2 reactor is an active fault in May 2013, the JAPC began actively working to change the regulator’s decision, and the meetings between the two parties have been known to be contentious. The secretariat of the NRA has told reporters that it plans to file a protest with Japan Atomic Power Company over inappropriate and threatening remarks made by Hiroshima University professor Koji Okumura, who is affiliated with the utility. The Unit 2 reactor at the Tsuruga nuclear power plant started operation in 1987, the Unit 1 reactor started up in 1970. Experts estimate that the costs to decommission a reactor like the Unit 2 reactor at the Tsuruga nuclear site will cost in excess of $650 million. The post Regulatory panel in Japan affirms decision that will force decommissioning of Tsuruga reactor appeared first on Enformable.